Dentists and dental hygienists use a lot of words to describe parts of your mouth, problems, and procedures. In fact, it often seems as though dental terminology is a language of its own. you may hear at the dentist and what they mean. Abscess: Acute or chronic localized inflammation, probably with a collection of pus, associated with tissue destruction and, frequently, swelling; usually secondary to infection. Adult Dentition: The permanent teeth of adulthood that either replace the primary dentition or erupt distally to the primary molars. Alveolar: Referring to the bone to which a tooth is attached. Artificial Crown: Restoration covering or replacing the major part, or the whole, of the clinical crown of a toothor implant. Bicuspid: A premolar tooth; a tooth with two cusps. Bruxism: The parafunctionalgrinding of the teeth. Cavity: Missing tooth structure. 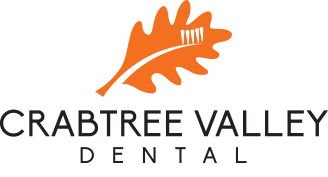 A cavity may be due to decay, erosion or abrasion. If caused by caries; also referred to as carious lesion. Cementum: Hard connective tissue covering the outer surface of a tooth root. Complete Denture: A prosthetic for the edentulous maxillary or mandibular arch, replacing the full dentition. Usually includes six anterior teeth and eight posterior teeth. Crown:An artificial replacement that restores missing tooth structure by surrounding the remaining coronal tooth structure, or is placed on a dental implant. It is made of metal, ceramic or polymer materials or a combination of such materials. Cuspid: Single cusped tooth located between the incisors and bicuspids. Dentin: Hard tissue which forms the bulk of the tooth and develops from the dental papilla and dental pulp, and in the mature state is mineralized. Dry Socket: Localized inflammation of the tooth socket following extraction due to infection or loss of blood clot; osteitis. Filling: A lay term used for the restoring of lost tooth structure by using materials such as metal, alloy, plastic or porcelain. Impacted Tooth: An unerupted or partially erupted tooth that is positioned against another tooth, bone, or soft tissue so that complete eruption is unlikely. Incisor: A tooth for cutting or gnawing; located in the front of the mouth in both jaws. Molar: Teeth posterior to the premolars (bicuspids) on either side of the jaw; grinding teeth, having large crowns and broad chewing surfaces. Occlusal: Pertaining to the biting surfaces of the premolar and molar teeth or contacting surfaces of opposing teeth or opposing occlusion rims. Posterior: Refers to teeth and tissues towards the back of the mouth (distal to the canines); maxillary and mandibular premolars and molars. Pulp: Connective tissue that contains blood vessels and nerve tissue which occupies the pulp cavity of a tooth. Root: The anatomic portion of the tooth that is covered by cementum and is in the alveolus (socket) where it is attached by the periodontal apparatus; radicular portion of tooth. Root Planing: A definitive treatment procedure designed to remove cementum and/or dentin that is rough, may be permeated by calculus, or contaminated with toxins or microorganisms. These definitions were provided by the American Dental Association. For more dental terms and meanings, visit their glossary page here. Do you need to schedule your next dentist appointment? We make it easy! Visit our online portal today!